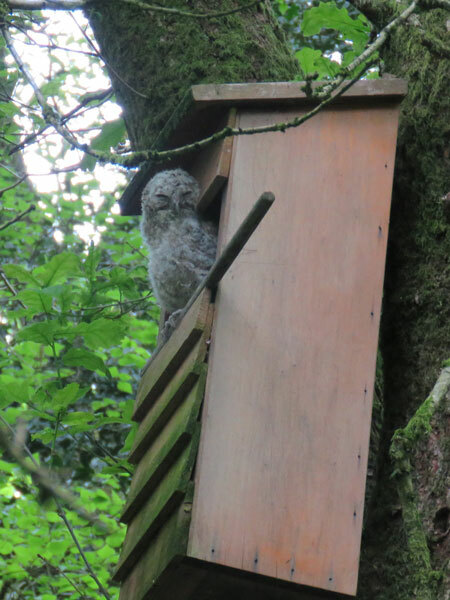 Very exciting news, the tawny owl box that I made with my Grandpa and put up in the woods in January 2015 has tawny owl chicks! I couldn’t have been more happy. I only found out so recently because there is no camera inside or outside the box, so when they poked their heads outside it was a great surprise! The chicks downy fluff is very interesting. 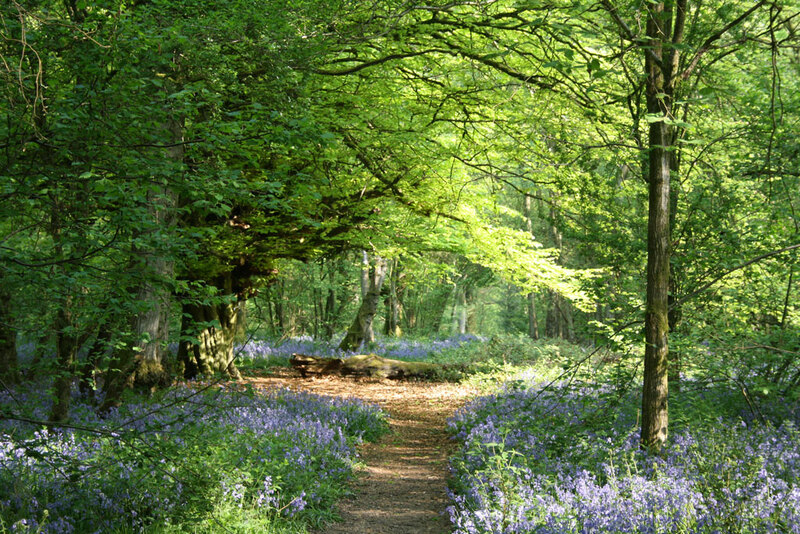 It is great camouflage for moss and lichen and other nest materials. This coat of feathers would be moulted for a new set of adult feathers. 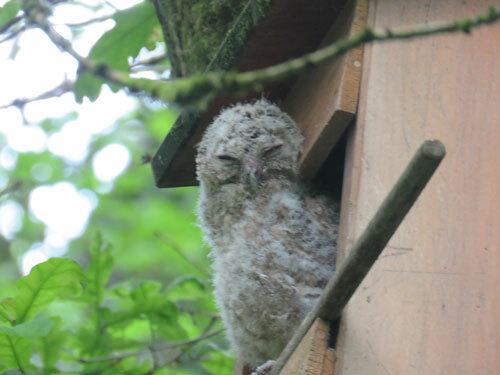 I have only seen two but there may be more inside as the average brood of a tawny owl is 2-3 eggs. They already seem to be able to climb out of the box and look at the outside world. 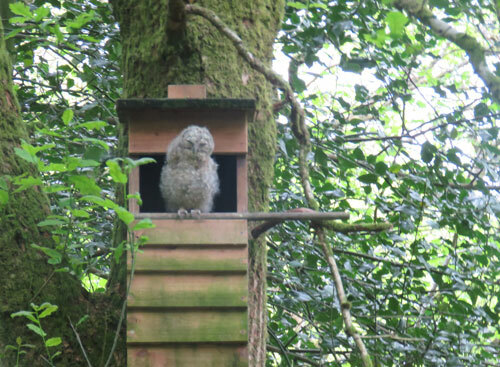 This will be very useful when it comes time for the owlets to fledge. I’ll post more updates as soon as I can.